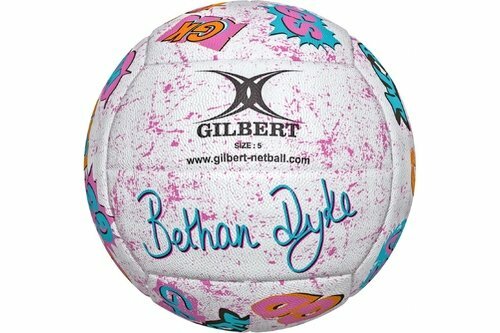 Endorsed by Welsh, and Celtic Dragons star Bethan Dyke, this Signature Netball is designed for general use on any surface. Suitable for all levels this fun training ball utilises a blended rubber surface and synthetic latex bladder for optimum grip and air retention. In a jazzy white, pink and blue mixed colourway.